Every day starts with you getting up and eating a good breakfast to fuel yourself for the day. You shouldn’t treat this part of your day lightly because it is what can set the mood for the rest of your day. And a hearty but healthy breakfast will have a lot to do with that. That’s why we’re taking our breakfast very seriously and we want to load up on those healthy proteins and carbs right in the the early morning so that our bodies get that awesome boost in energy. Here are 50 of the best recipes to choose from for your perfect day. Enjoy! Breakfast meals that are almost like a dessert are among our favorites. This very nutritious baked oatmeal is nutrition packed with ample berries and nuts. If you like to take your breakfast on the go, these delicious french toast sticks soaked in cinnamon-vanilla custard will be as filling as they are delightful every morning. 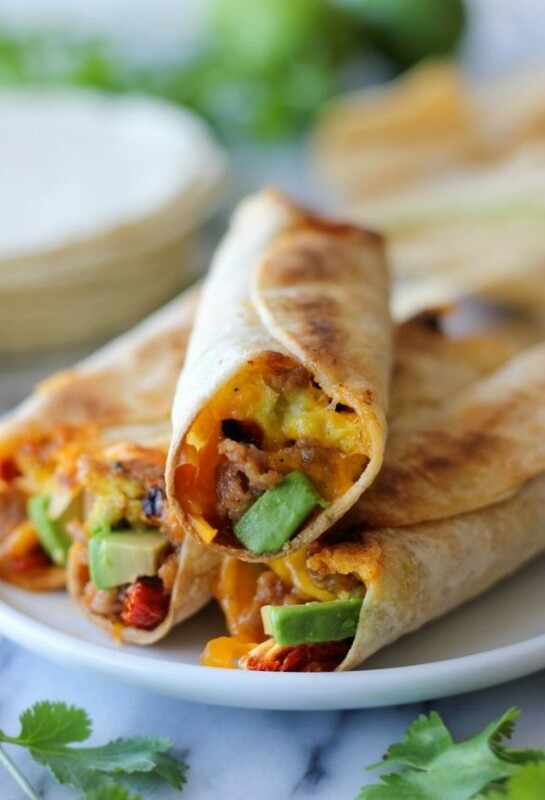 Nutritious and healthy quesadillas with a delicious runny egg yolk inside. What can be better? When it comes to toasts for breakfast, this avocado toast with eggs, spinach and tomatoes is one of the most nutritious and healthy meals you can have. If you’re a coffee and a snack for breakfast type of person then this blueberry braid is a great way to get your breakfast nutrition and energy boost. There’s a lot we love about this breakfast meal – starting with it’s lovely name and ending with it’s hearty flavor rich consistency. It’s all your favorite breakfast foods blended into one. Healthy, filling and full of protein, these peanut butter oatmeal bites can go as a breakfast meal or a snack throughout the day. 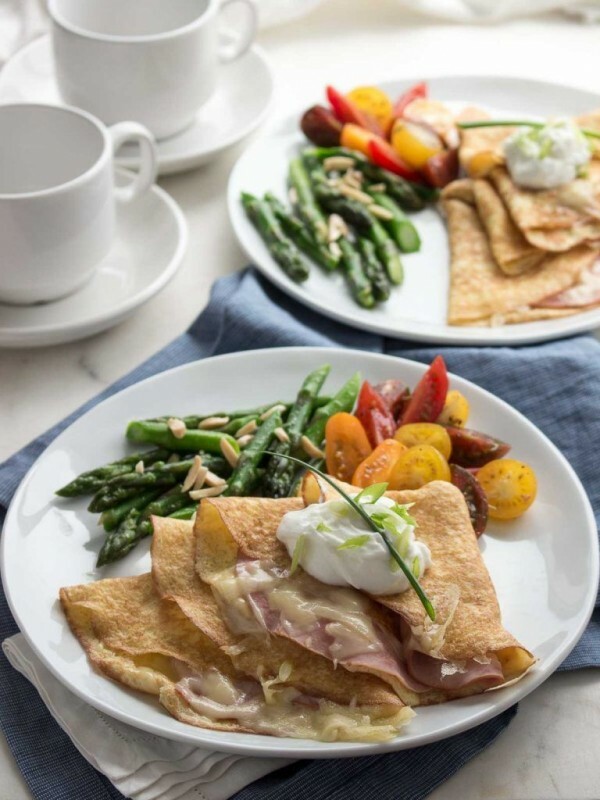 How about some delicious french crepes that can be made with any breakfast filling of your choice. Try the traditional egg, bacon and cheese. A simple to make but absolutely delicious and hearty breakfast recipe that may just become one of your favorites. 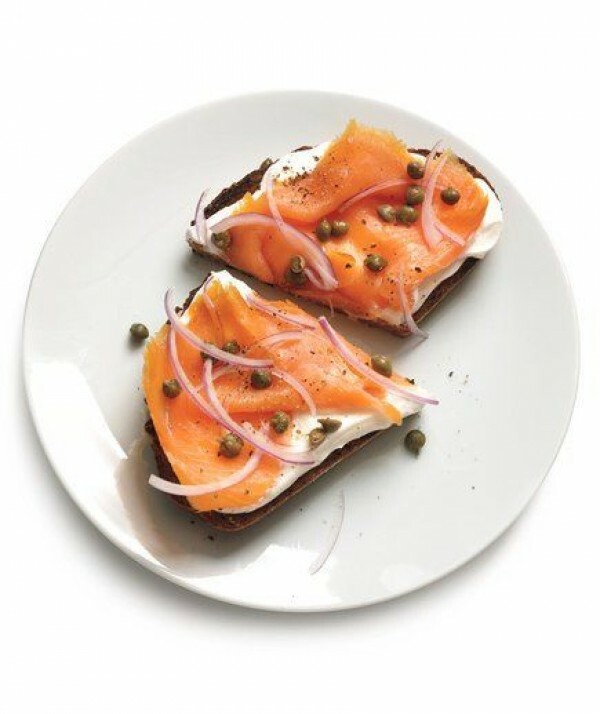 Another breakfast toast to mix things up in your morning ritual and it’s absolutely delicious too. 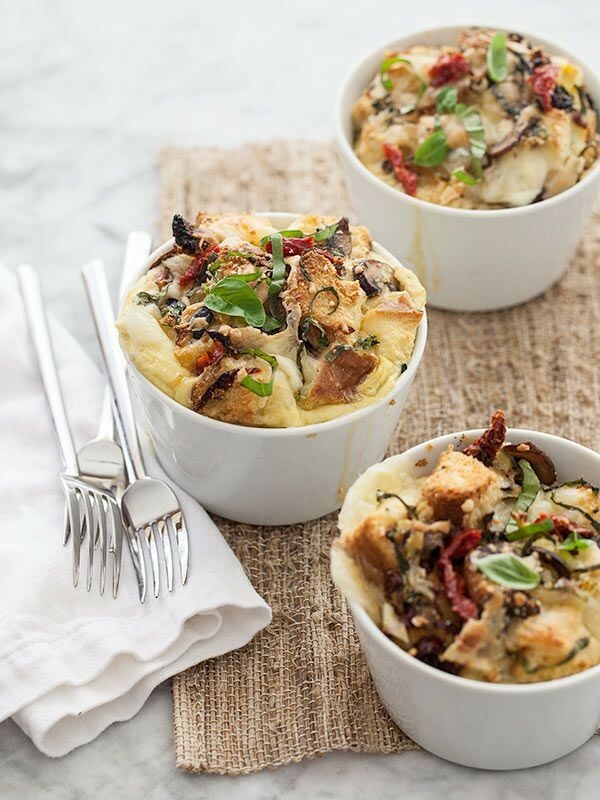 Loaded with fresh veggies and full of nutrition, this recipe is easy to customize too as you can add any of your favorite products into the delicious casserole. One of the fancier recipes on the list but it’s oh so healthy and delicious. It’s easier to make than it looks too, so do it and enjoy it. Omelettes take a little skill to make so if your mornings are busy and short, try this easy to make baked version – it’s just as good. Pie for breakfast? 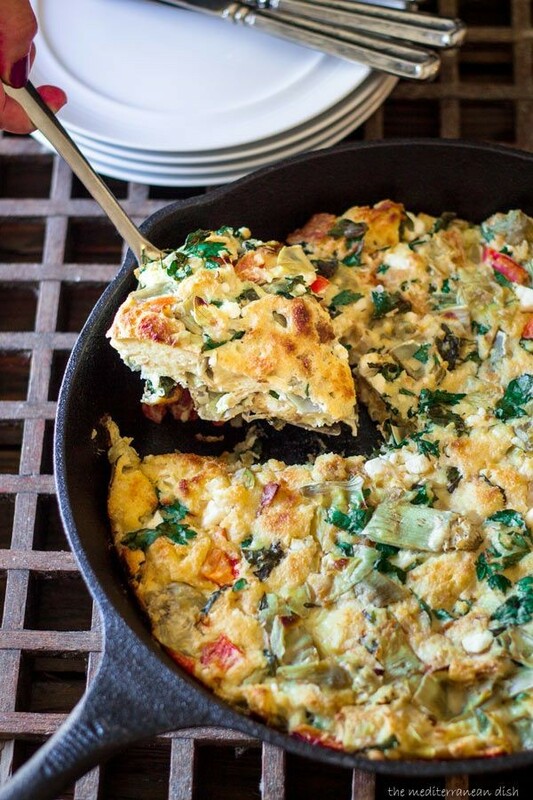 And why not – try this hash brown, spinach and tomato pie – it will fill you up for the day. Talk about fancy breakfast, but if you’re up for it, this meal is as delicious as it is visually appealing. Eggs Benedict is breakfast classic and you absolutely must try this homemade recipe. 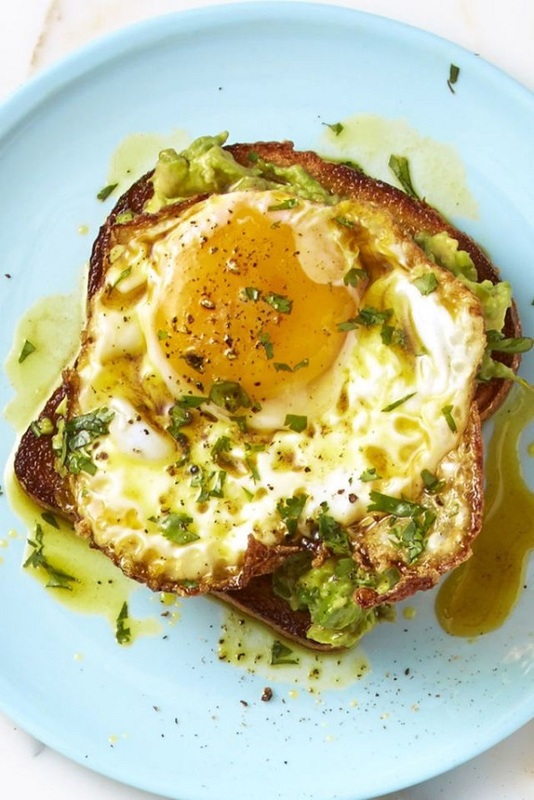 If you share our love for avocados, you will love this avocado bacon and eggs for breakfast. There are more ways to cook eggs than we can count, so instead of counting try these eggs baked in Portobello mushrooms for breakfast. Here’s another take on eggs and bacon – delicious as always. Start your day with a healthy salad – it’s the healthiest choice and of course, it’s delicious too. 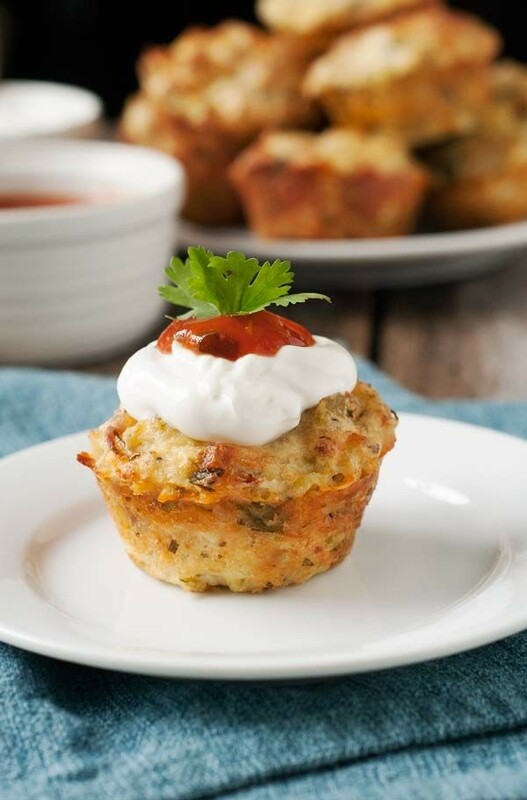 These bites are perfect if you are looking for a healthy breakfast. They are easy to make and one can spice up the flavor by add-ins such as raisin, and dried cherries. This happens to be one of those easy to make breakfast dishes. It comes packed with vital nutrients and has a finger licking taste. This dish has sweet potatoes as the main ingredient with almond butter, raisin and nuts as add-ins to add to the taste. Once backed one can add honey or even a ripe banana to add to the sweetness. 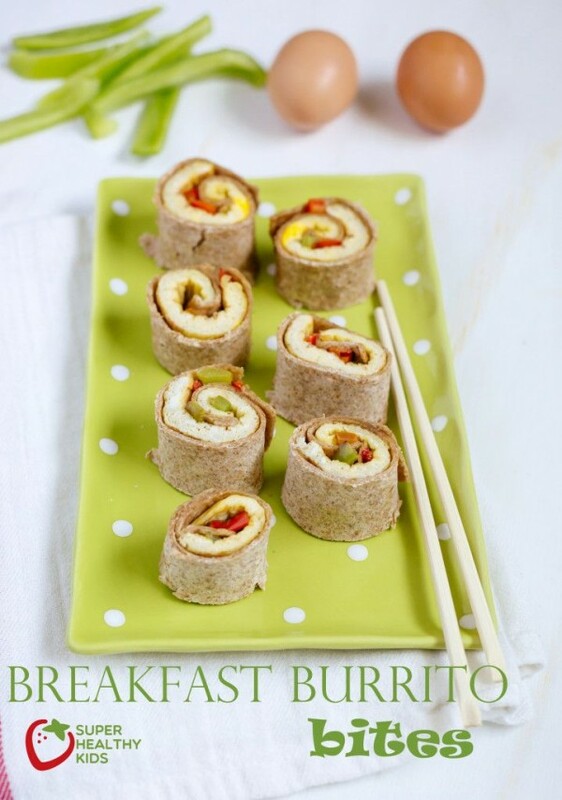 This kind of meal is just perfect for breakfast and comes with a crispy taste. The taquitos are quite delicious especially when served with extra salsa dippings. This happens to be one of those meals that are bound to leave an impression. It is quite simple and a healthy alternative if you are looking for a meal that is low in carb and still has that delicious taste. Just as the name hints, it is bound to be tasty and a perfect treat if you have small kids. 3 simple ingredients banana eggs and cinnamon are all you need to make these delicious pancakes. This happens to be low carb high in protein and a perfect choice if you have a busy schedule and you need to have a nutritious diet. You are free to add fillings of your choice. This is the perfect snack for all of you ancient grain lovers. It happens to be a very healthy snack and a perfect snack if you are constantly on the go. This is breakfast options that give you room to experiment. Baby spinach, garlic, fresh chilies are just a few of the ingredients that you can use to make your guacamole. Spice up the egg with some chili sauce. 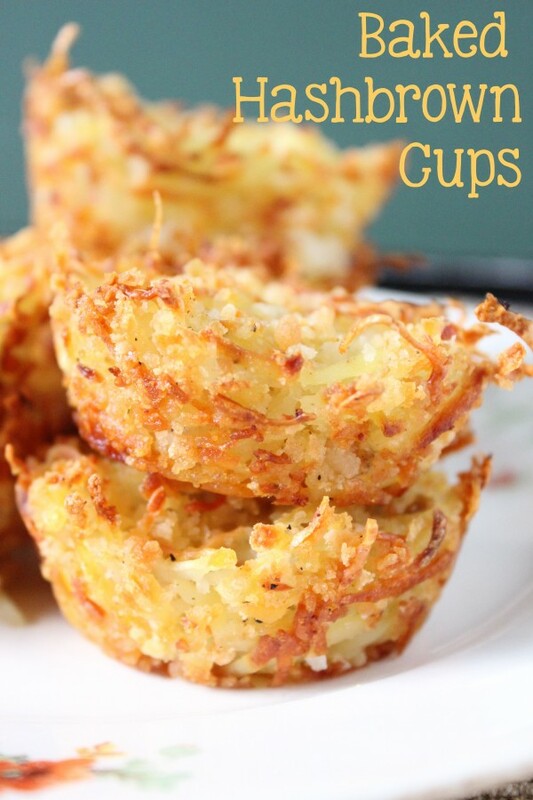 Nothing beats the crispy, cheesy taste of baked hash browns in the morning. The baking process is quite simple and fast. You are your own boss and feel free to try out new ingredients. This happens to be a meal that you can eat at any time of day and comes packed with rich flavors and vital nutrients. It is a dish that you will enjoy making. Looking for a healthy snack for your lunch box, do not hesitate to try out this wonderful cookie. A blend of apple and oatmeal when baked gives out a sweet aroma that will leave you salivating. This happens to be one of those vegetarian diets that have a delicious taste. They are easy to make and will leave you with enough energy to push you through the day. Making this dish is bound to be an interesting experience. Avocado toast and a fried egg will be your primary ingredients and the curry will provide that all-important spicy flavor. This is a simple snack that will take you a very short time to whip up. 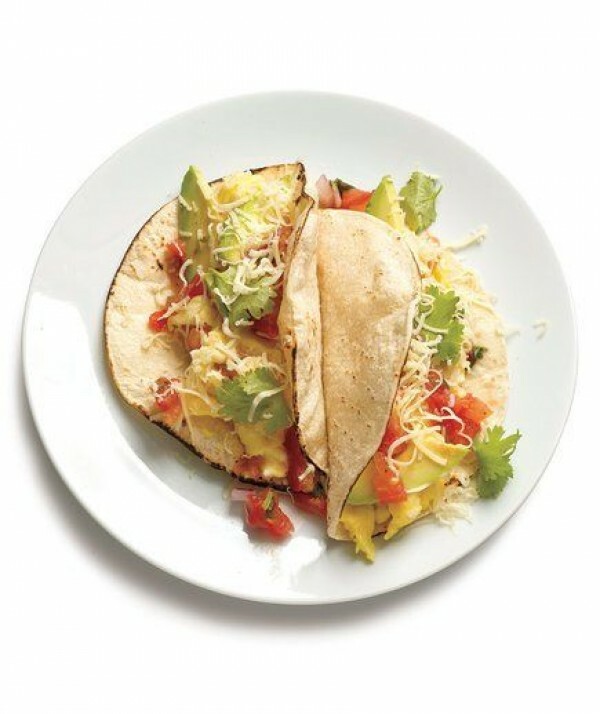 With a few eggs, tortillas and some butter, you are good to go. You can add an avocado slice to top up on the nutrients. The look of the toast when served is going to leave you salivating. The meal is quite simple to make with a very basic recipe to follow. The toast is best served hot with some pepper seasoning. A smoothie is quite relaxing and especially on a hot day. A blueberry green smoothie comes packed with a variety of nutrients and is going to leave you enjoying each serving. You can never get enough of pizza. 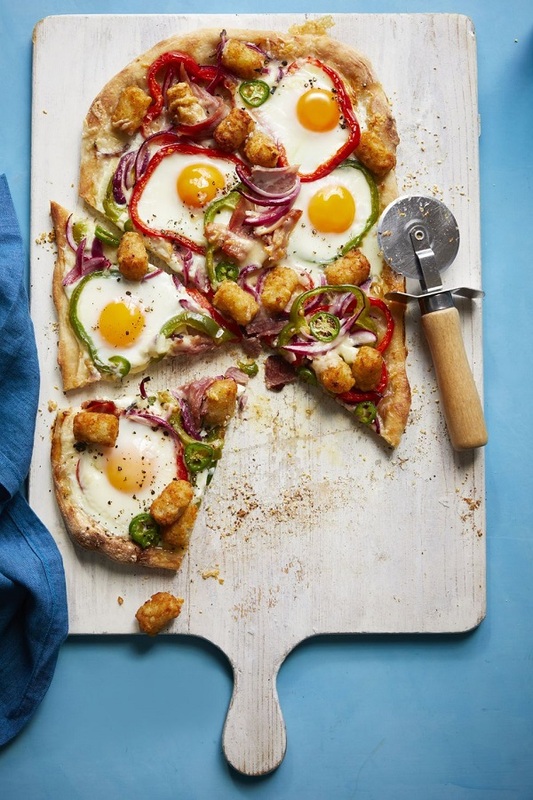 A tot pizza is unique in the sense that it incorporates a variety of ingredients such as sliced deli ham and frozen potato tots. You can have them for breakfast on practically any day of the week. 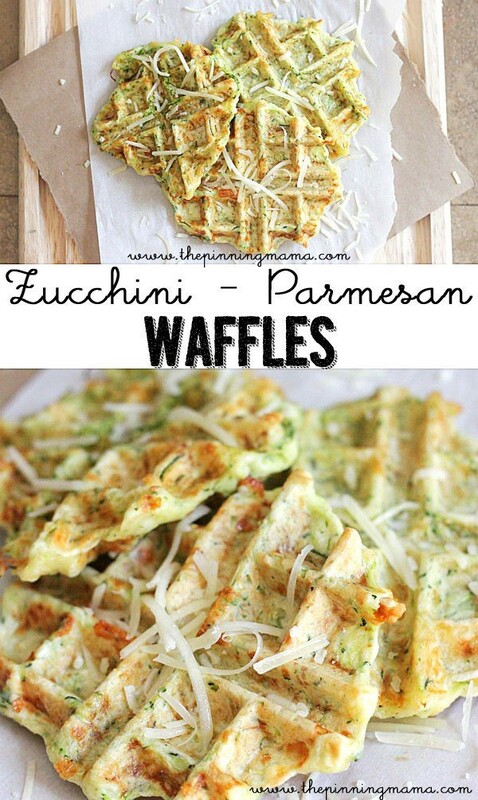 They come loaded with a variety of ingredients such as tomatoes, avocado and melted cheese. This happens to be a high protein meal. 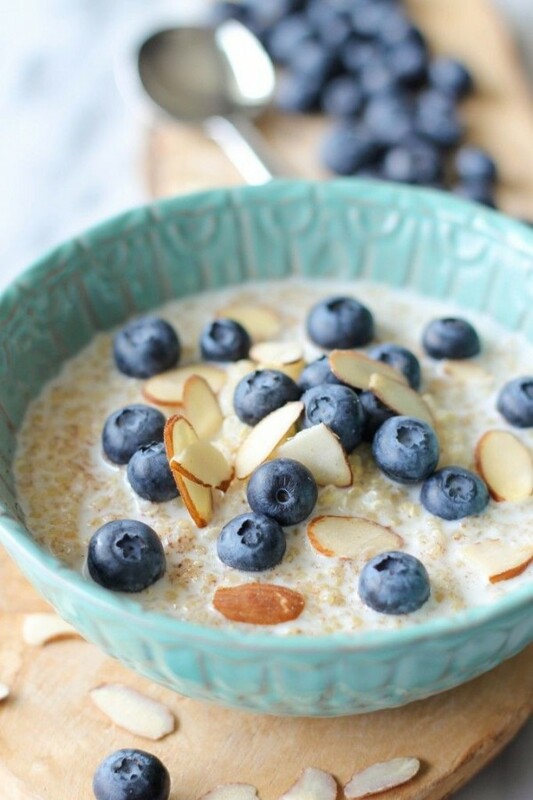 When taken for breakfast, the taste of blueberries and drizzling honey will leave you enjoying each spoonful. This is a unique French dishes that incorporate the use of eggs, cooking butter and some berries to add to the flavor. The toast makes eating bread a whole new experience. Looking for a healthy sweet mini breakfast for your kids? Burritos should top the list. They come full of nutrients and are going to leave your kids smiling and their bellies filled with goodness. You rarely go wrong if you choose a Mexican dish and mini quiches happen to be glutton free and quite tasty. There is no perfect recipe and feel free to add ingredients of your choice. The recipe for making this dish is of true Middle Eastern origin. 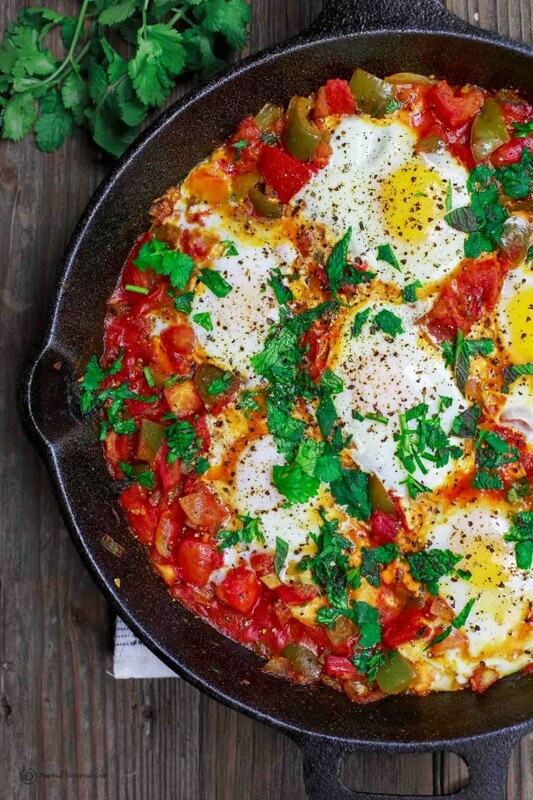 Eggs, vegetarian stew, tomatoes and some pepper are skillfully blended to come up with an awesome flavor. 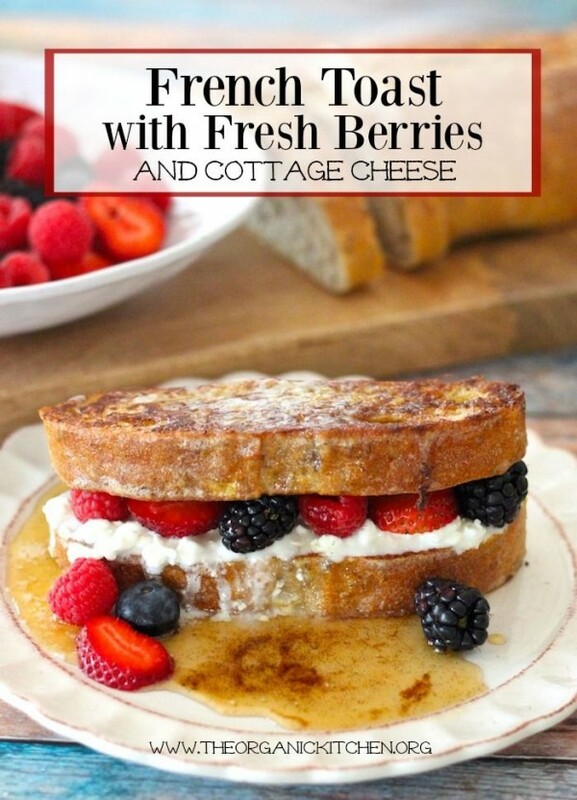 If you are looking for a yummy brunch treat, this will comfortably fit the description. It is quick to prepare and very tasty. You’re free to add as many ingredients as you want to try it today. If you are open-minded and willing to experiment, this is a dish you have to try. You can bring on board as many ingredients as you like and the dish fits perfectly for any occasion. The recipe of this dish tries to test the limits when it comes to taste and also compatibility of ingredients. The recipe incorporates sweet potatoes eggs and bread giving you a very nutritious end product. This happens to be easy to make a snack that is full of vital nutrients. 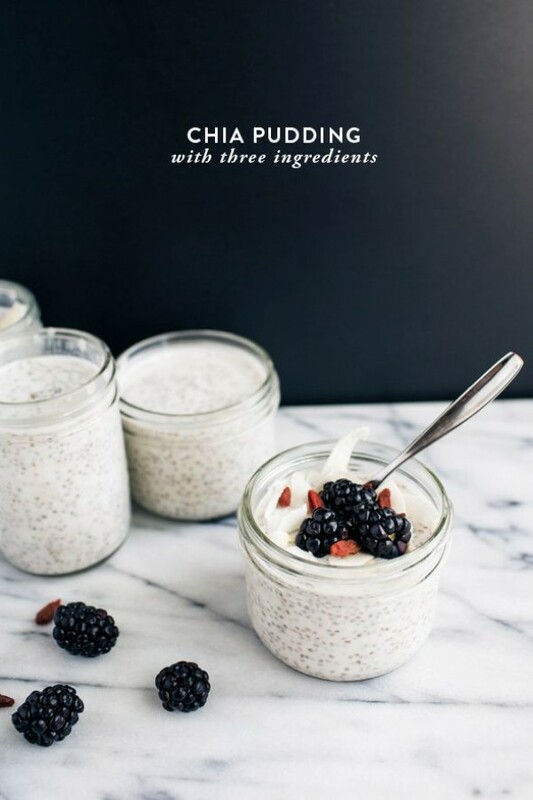 Chia seeds being one of the Ingredients have a very sweet and one can add some honey or yogurt to thicken the pudding. The taste of ham and cheese is going to leave you wishing you can get more of the crepes. They are low carb and glutton free and will be a sweet snack to have at any time of the day. This is low barb gluten free and all natural dishes that you can enjoy as a snack at any time of day. 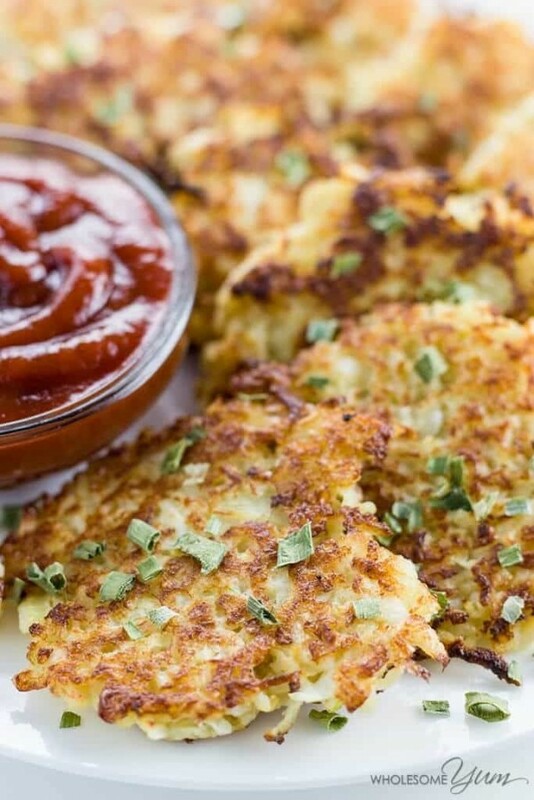 Cauliflower adds an extra aroma to the dish and the smell is going to leave you yearning for a bite. Need receipts and temperature for oven??? If you look just below the pics of the food you will see a link. Click on that and it will take you to the page where you can find all the instructions on how to make it. Just awesome. these could be expensive for me but I will try few them. Thanks for great content.